For three decades, we have been pushing the limits of innovation in cyber security, having made it our central focus. Our product and service offering constitutes OKIOK’s distinctive strength on a global scale and allows us to address the entirety of an organization’s security governance and information protection needs. Secure file transfer and identity governance products, targeted and value-added professional services, as well as custom security solutions leverage our specialists’ skills and expertise, allowing us to deliver nothing short of excellence. Being at the cutting edge is at the heart of our DNA since our inception, whether it’s in terms of developing new products, exploring new techniques or constantly renewing our skills. Our unique approach has also led us to export our know-how by evolving our methodologies in a structured and standardized manner, thus enabling our international partners to offer our penetration testing and our identity and access compliance services in their markets. The extensive experience and creativity of our experts, as well as our mastery of industry best practices, make us your best ally in meeting your current and future business challenges in a secure manner and in addressing your compliance challenges relating to the various laws and regulations in effect. Known as a global pioneer, OKIOK has been on a roll for thirty years…and doesn’t plan on stopping anytime soon. OKIOK has become synonymous with innovation in research and development. While technologies and their use lead to new challenges at a rapid pace, we find new ways of doing things and go where others fear to tread. This culture of excellence drives us to constantly surpass ourselves in developing the most relevant solutions and serving our clients’ best interests. While conventional solutions are often complex and costly, we strive to offer solutions that are both simple and in line with your budget. Our experts are known to be at the top of their profession, the best in the industry. It is no coincidence that many of them are often called upon to give interviews to the media and to share their knowledge through seminars and industry conferences. The OKIOK culture is ultimately about ensuring that a stimulating atmosphere prevails at all times and that our experts continue to maintain the innovative spirit that is still vibrantly alive after thirty years. Claude Vigeant has been President of OKIOK since 2003. He steers the company’s development and ensures its international presence. 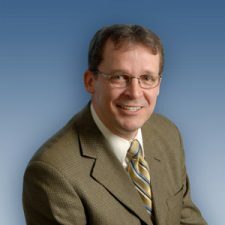 Claude is an expert in all areas of cybersecurity and the leader of the Centre for Innovation and Excellence in Identity and Access Management, providing consultation, support, and educational services to banks, governments, and other major corporations. A true visionary, Claude has positioned OKIOK as a Québec leader and pioneer in consulting services and research and development in cybersecurity. Under his leadership, OKIOK has signed a number of strategic international agreements. As Vice President of Finance and Operations, Cindy Walsh has been instrumental in defining OKIOK’s strategic direction. She has held this position since the company was founded in 1982. Cindy is one of the key builders of the company, helping create the organizational structure, establish business and recruiting strategies, and develop future generations of products. She was largely responsible for OKIOK making the very successful strategic shift to cybersecurity. Cindy was and continues to be a prominent member of the industry. 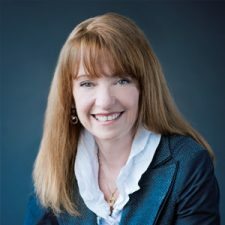 She serves on several advisory boards, working groups, committees, and boards of directors and is widely recognized for her active involvement in the technology industry. She has also taught in a continuing education college program. François Daigle is responsible for assigning experts to OKIOK’s various projects, and managing the company’s pool of consultants who work with clients externally, as well as their professional development. Mr. Daigle is also a Senior Cybersecurity Consultant. He carries out projects in the areas of governance, education, identity management, risk analysis and security team management for OKIOK’s corporate clients. Mr. Daigle is a graduate of the École du Barreau du Québec and also holds two bachelor’s degrees from the University of Montreal: one in law and the other in psychology. His years of experience as a lawyer specializing in criminal law enable him to accurately assess the legal risks associated with compliance and governance gaps. Mr. Daigle also has extensive experience in cybersecurity, which he acquired while working in both federal agencies and private companies. 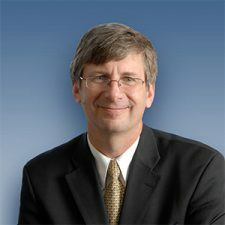 In the course of his career, Mr. Daigle has participated in numerous professional developmental programs in areas that include identity and access management, project management, risk assessment, and ISO 27001 and 27002 compliance, and he is one of few people who have the ISO 27001 Lead Auditor certification. He also taught a graduate course specializing in cybersecurity at McGill University for a number of years.